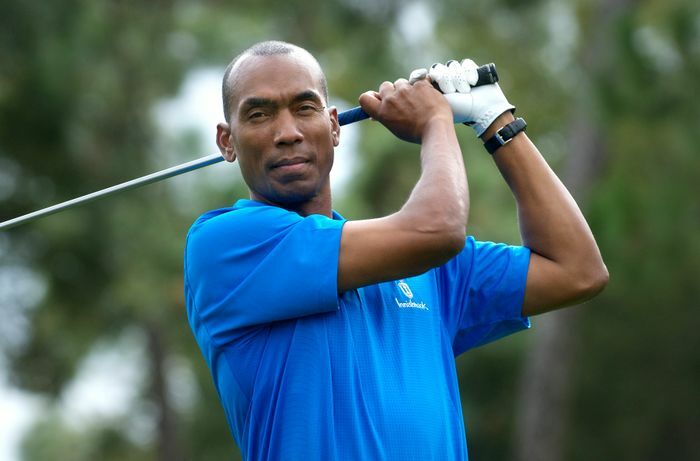 INNISBROOK, FL, December, 2008 – Innisbrook Resort and Golf Club, which hosts the annual PGA TOUR Transitions Championship, has named Rodney Green as its new director of golf. Green will oversee all golf operations at Innisbrook, including daily oversight of all four of the resort’s championship golf courses, merchandising for three golf shops, golf instruction, operating and capital budgets, staffing, and the Transitions Championship, to be held March 16-22, 2009, on the Copperhead Course. Green replaces longtime Director of Golf Jay Overton, who is now the resort’s host professional. A 19-year veteran of the golf industry, Green spent the last 11 years working in Orlando for the Walt Disney World Company, most recently as head golf professional and director of instruction for Disney’s two premier championship golf courses. Green’s attention to detail resulted in continued increases in annual golf rounds, improved operating efficiencies, and exceptional service standards and customer satisfaction ratings. Green also managed and oversaw the PGA TOUR’s Children’s Miracle Network Classic for the last five years, and is a member of the PGA Advisory Board. Innisbrook Owner Salamander Hospitality, which was founded by noted entrepreneur and philanthropist Sheila C. Johnson, began an aggressive renovation of the resort immediately upon purchasing the property in July 2007. With the project now nearing completion, the resort offers 65,000 square feet of remodeled meeting space for large or small meetings, special events, weddings and family gatherings, three newly remodeled clubhouses to including new restaurants, the gourmet Market Salamander, and a centralized guest registration area with a new bar and patio. Guests are now also enjoying a new 4,000-square-foot fitness center, and eagerly anticipate the opening of the resort’s first luxury spa in early 2009. Situated on 900 wooded acres of rolling hills and 70 acres of lakes on Florida’s Gulf Coast near Tampa, Florida, Innisbrook Resort and Golf Club is located just 25 minutes from Tampa International Airport. Innisbrook features 72 holes of championship golf, 608 spacious guest suites and rooms, four restaurants and three bars, the Innisbrook Golf Institute, 11 tennis courts, state-of-the-art Fitness Center, six heated swimming pool complexes, a nature preserve, and three newly renovated conference halls with 65,000 square feet of meeting space. For additional information call (727) 942-2000 or visit http://www.innisbrookgolfresort.com/. Innisbrook Resort and Golf Club is owned and managed by Salamander Hospitality, a privately owned and operated company based in Middleburg, VA, just outside Washington, D.C. Founded by entrepreneur Sheila C. Johnson in 2005, the company owns, manages and develops hotels, resorts and inns that reflect the authenticity and character of their surrounding environment. The portfolio includes the Mobil Five Star- and AAA Five Diamond-rated Woodlands Inn near Charleston, SC, and the luxurious Salamander Resort & Spa, located in Middleburg and scheduled to open in spring 2010. The company also owns and operates a division of gourmet prepared food markets called Market Salamander with locations in Middleburg and Palm Beach, FL, and Salamander Touch, a fine goods and linen store in Middleburg for the luxury resort lifestyle. For additional information, call (540) 687-3710 or visit http://www.salamanderhospitality.com/.